Can decision to move Cal-Stanford Big Game to Santa Clara work? 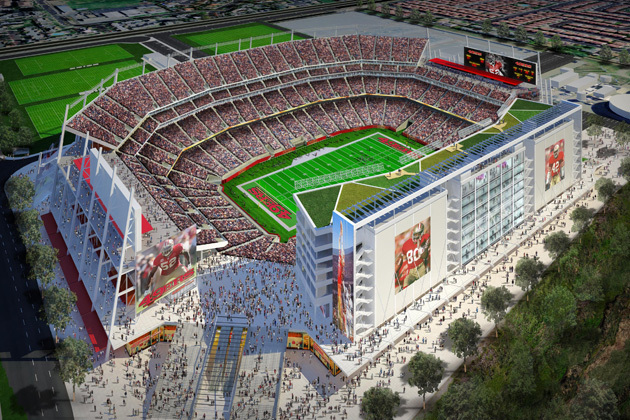 There are some mixed reactions to this potential deal to move the Big Game to new Levi’s Stadium in 2014. In a business sense, it’s a great idea. Stanford is closer to Santa Clara so the travel for them is easier. Even though Cal renovated their stadium, Levi’s Stadium will have a bigger seating capacity and has a lot better amenities for the fans. There’s a lot of potential revenue to be made here and to have it at a marquee venue would definitely boost its exposure. But what about the fans? Cal fans lose the fact that their new renovated stadium won’t be hosting the biggest game of the year. Not only that, the fans themselves will have to travel a longer distance to essentially a neutral territory. There’s a certain feel that a home stadium features and there’s a certain comfort for the fans and maybe even the players. Without that, the Big Game has become bigger than the game itself. It becomes corporate. I don’t think this is a great idea for Cal fans but it works in a business sense. Would Cal or Stanford be considered the home team? The idea will work, but it doesn’t look like Cal fans will be happy with this. The Big Game will be played here in 2014? This entry was posted in Commentary, Football, NCAA and tagged Big Game, Cal, Levi's Stadium, Stanford. Bookmark the permalink.